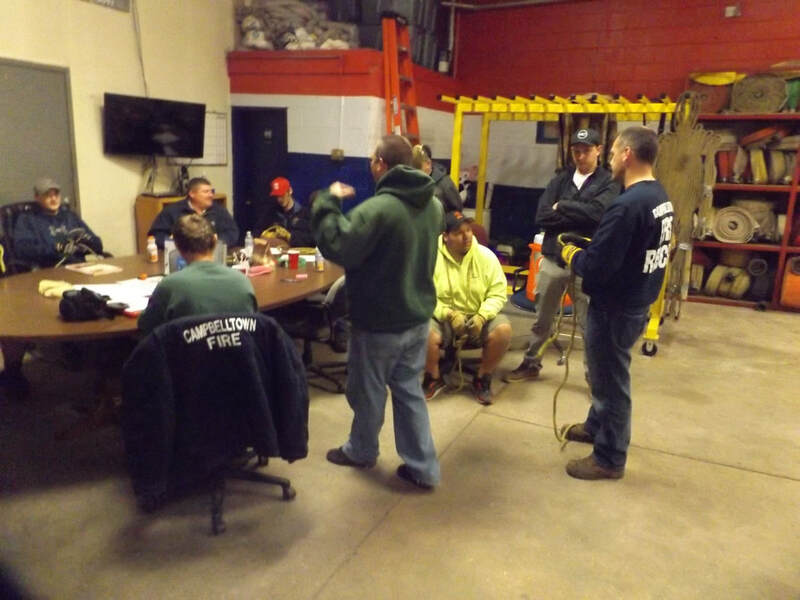 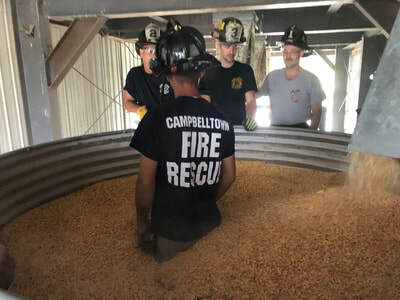 Today Campbelltown hosted a grain bin rescue class with Palmyra and Lawn fire companies also in attendance. 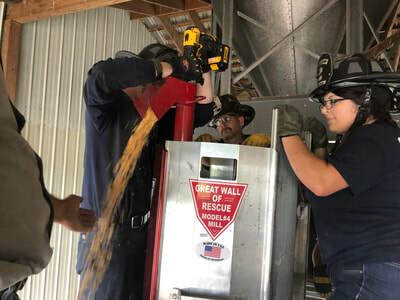 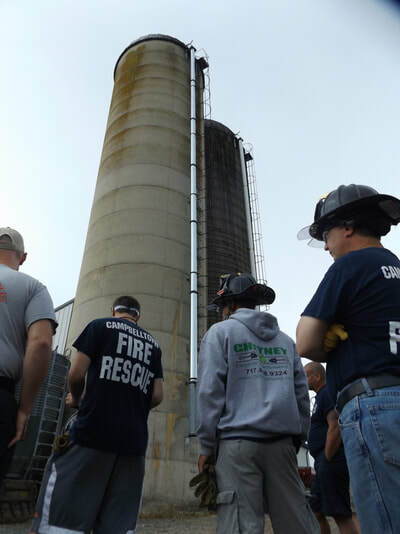 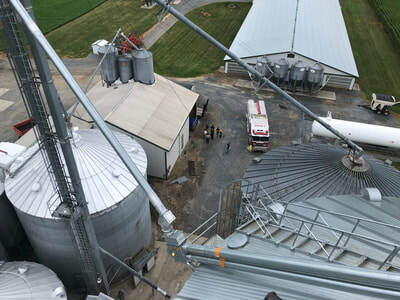 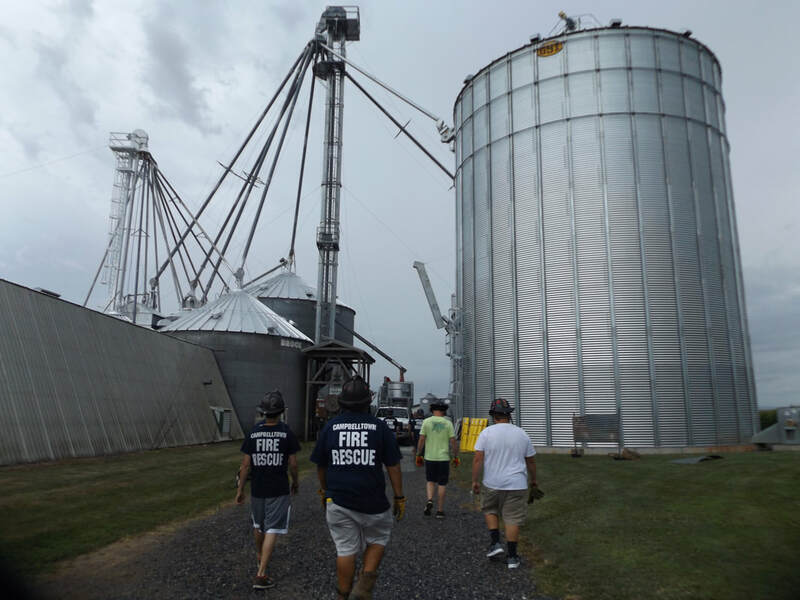 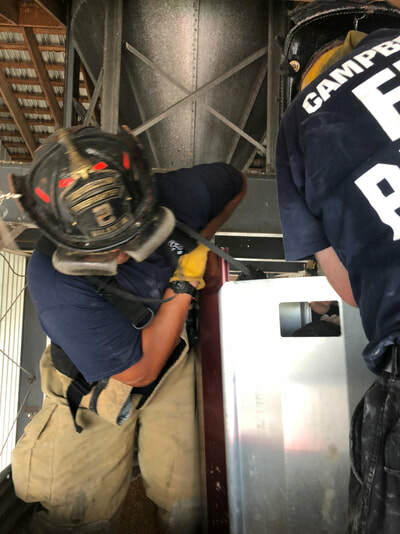 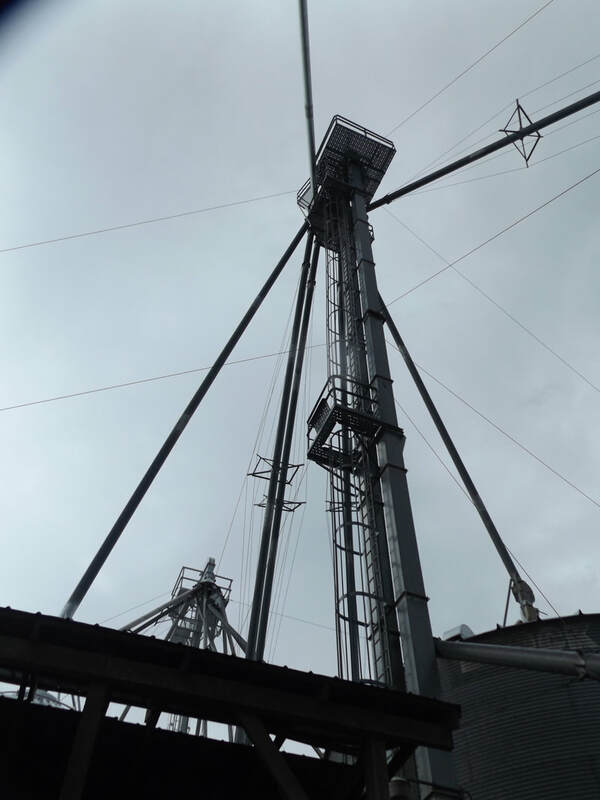 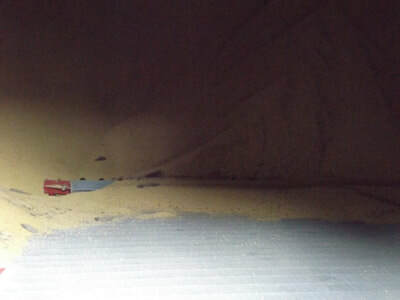 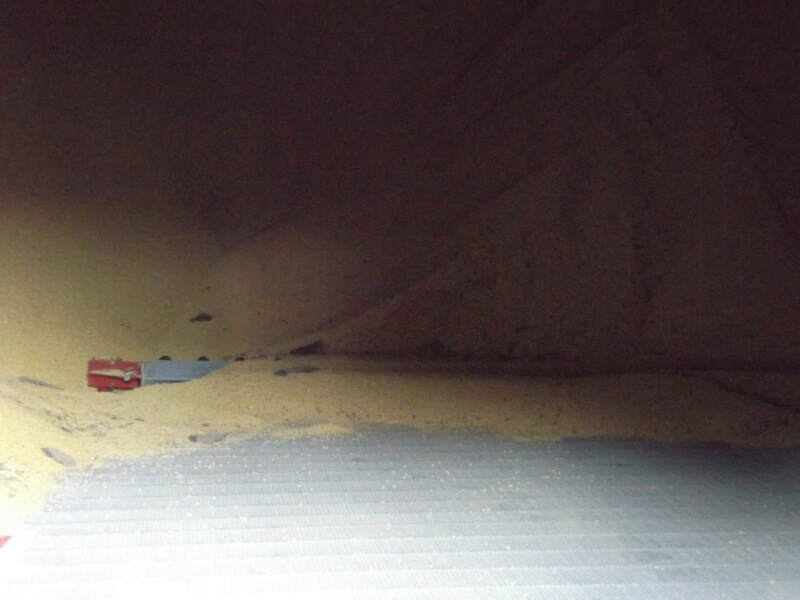 Crews learned how to rescue victims who have fallen into grain bins. Regional training this evening was with Lawn (3) and Palmyra (1). 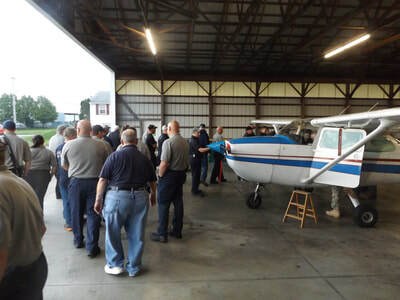 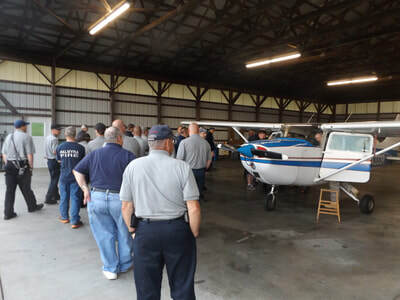 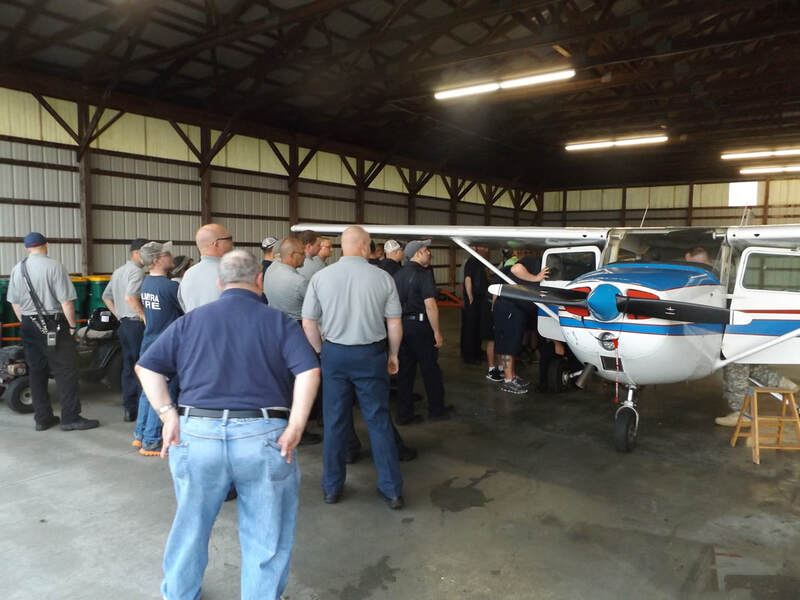 Crews went to Reigle's Airport and was given a presentation by instructor Denver Gillam on different planes that fly in and out of the airport. 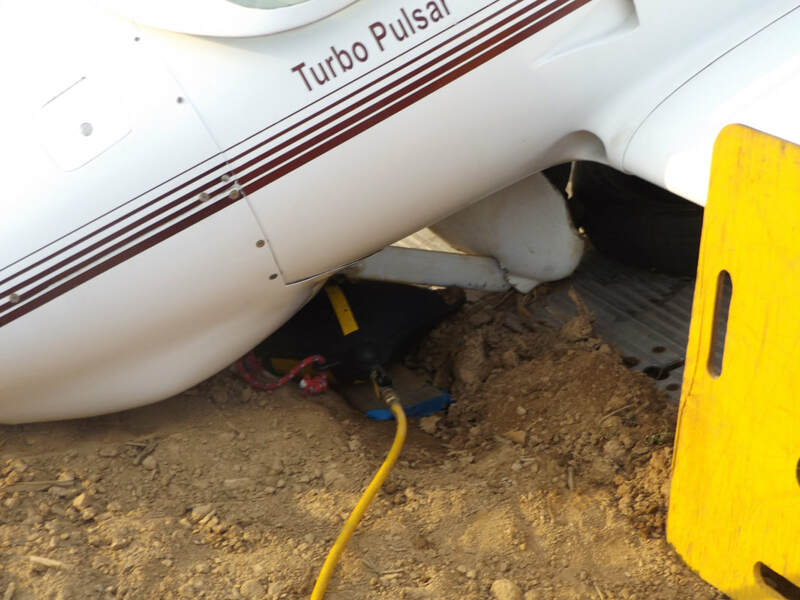 How to de-power and turn off the fuel supply. 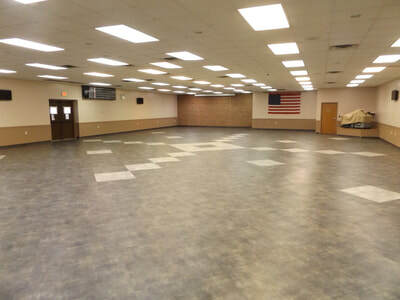 A question and answer period followed. Thanks to Reigle's for hosting this training session. 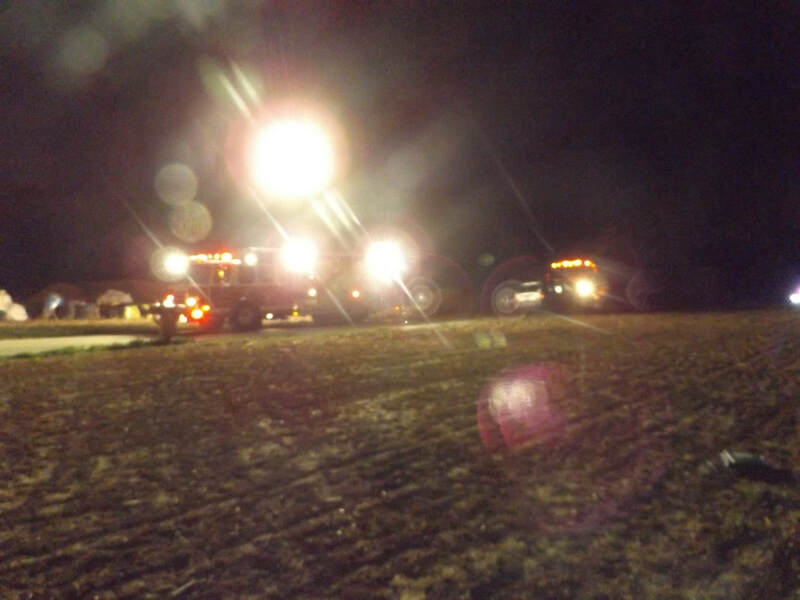 Engine 2 with 5 (safety Ed) and Tanker 2 with 1 responded to a plane down. 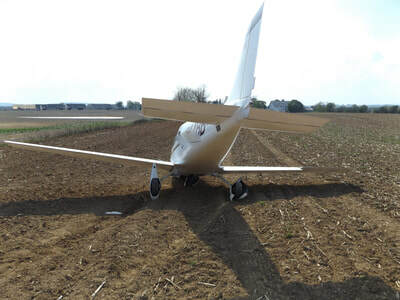 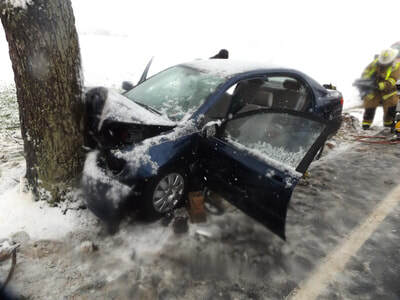 there were no injuries. 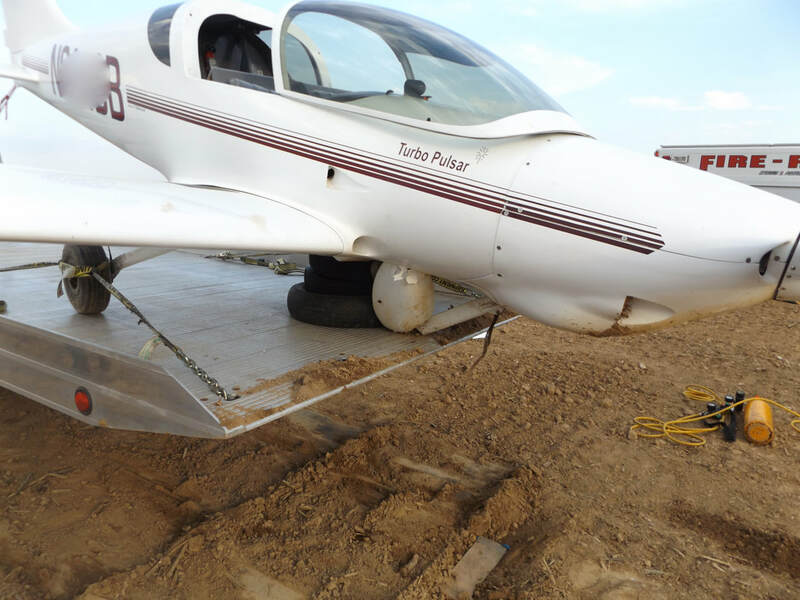 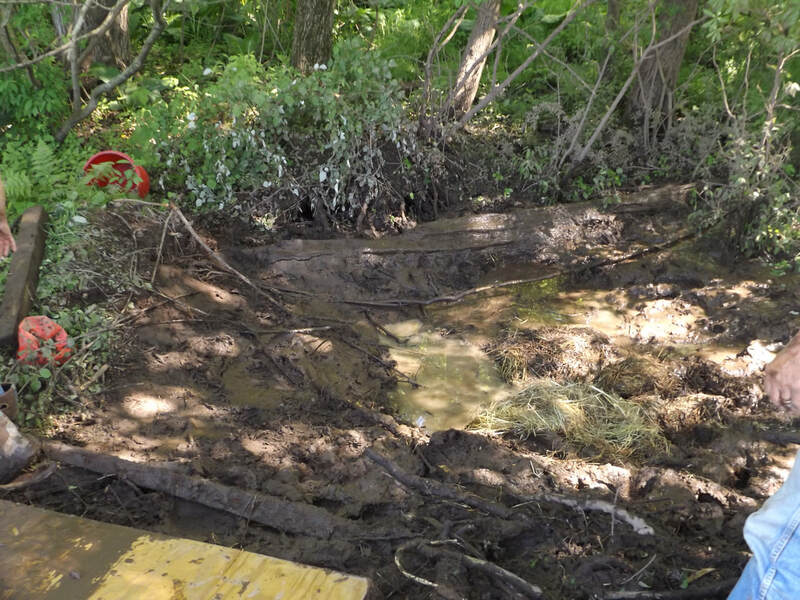 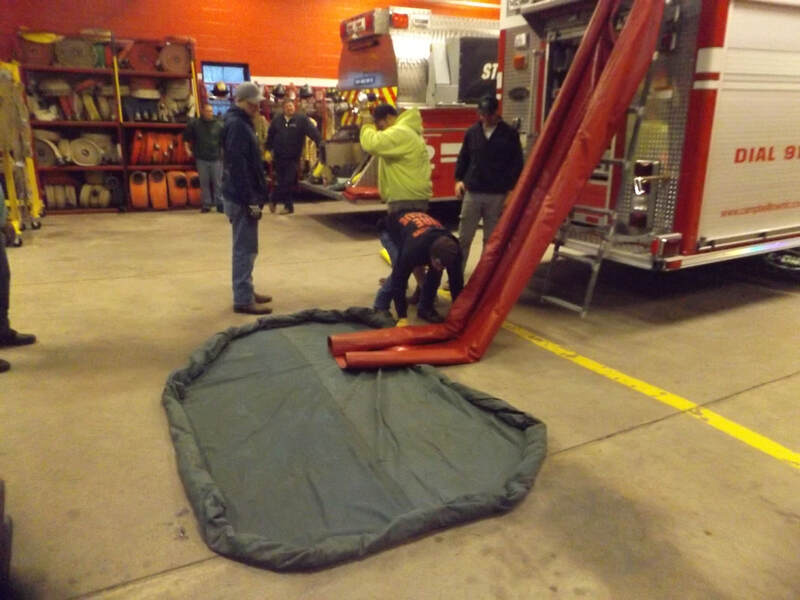 Crews put a pond under a small fuel leak and assisted the towing company to raise the front landing gear with the air bags. 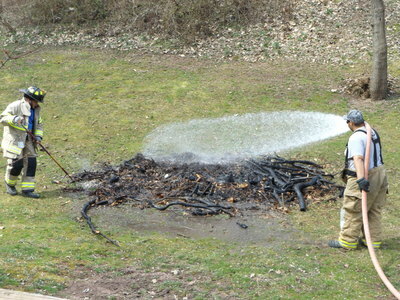 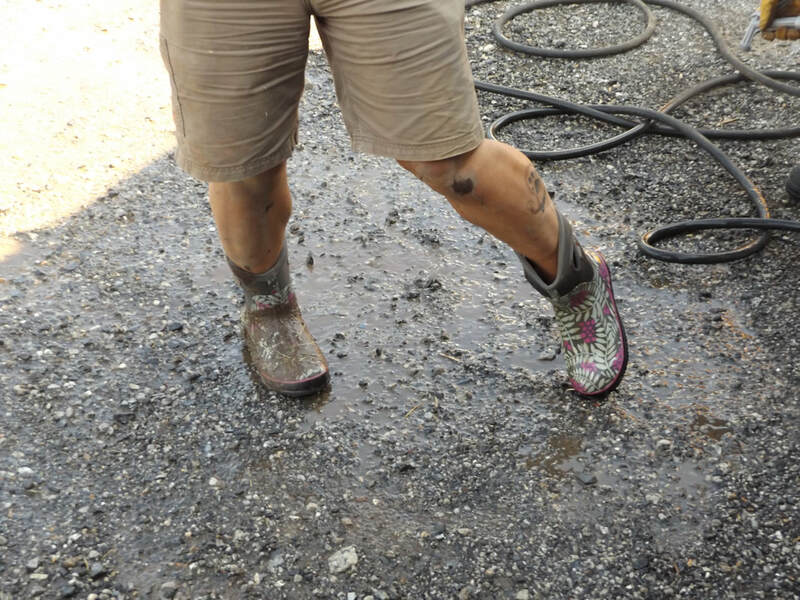 Crews were out 3 hours. 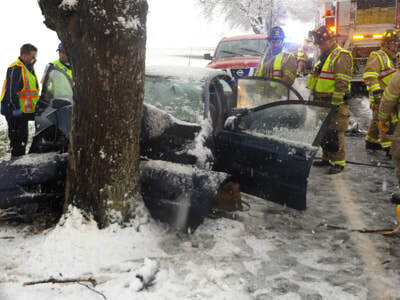 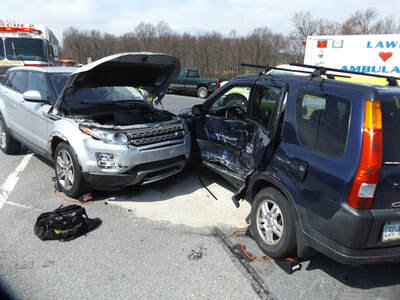 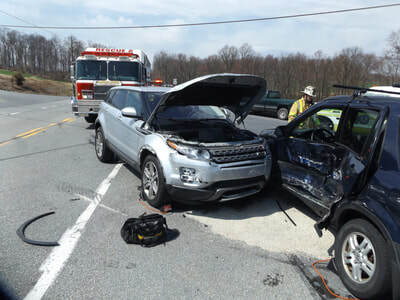 Rescue 2 with 6 ( Dep 2 Br Sell) and Engine 2 with 6 (Safety Ed) responded to an accident on Louser road. 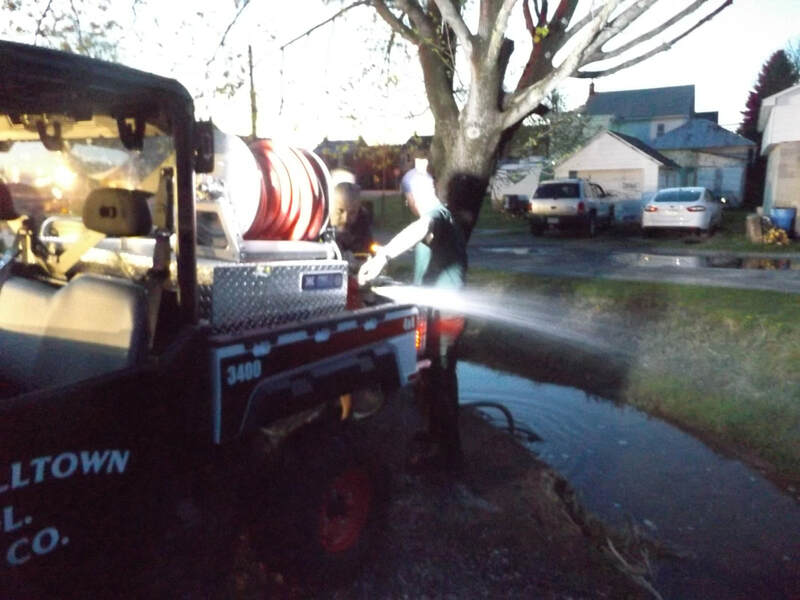 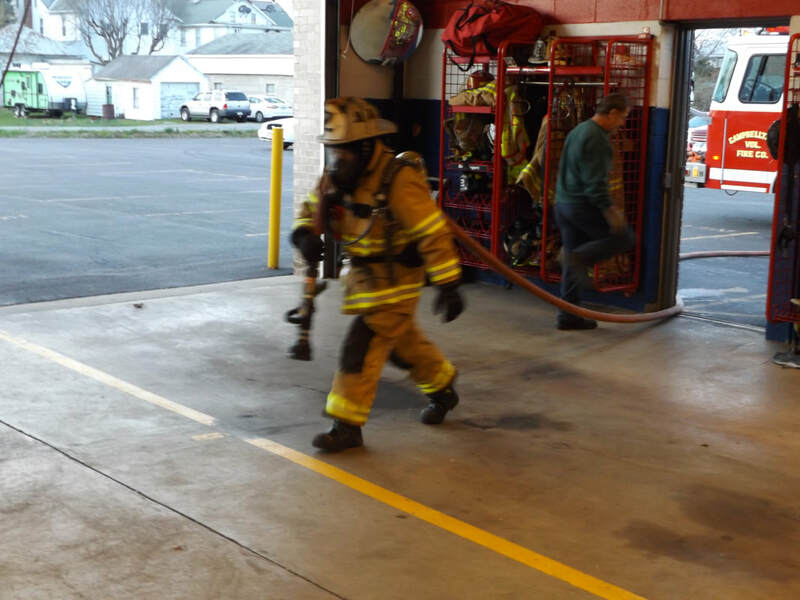 Crews did basic vehicle ops. 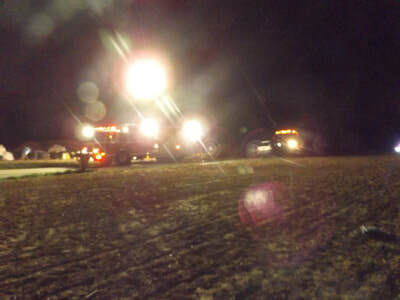 Special Unit 2 with 4 Fire Police also responded. 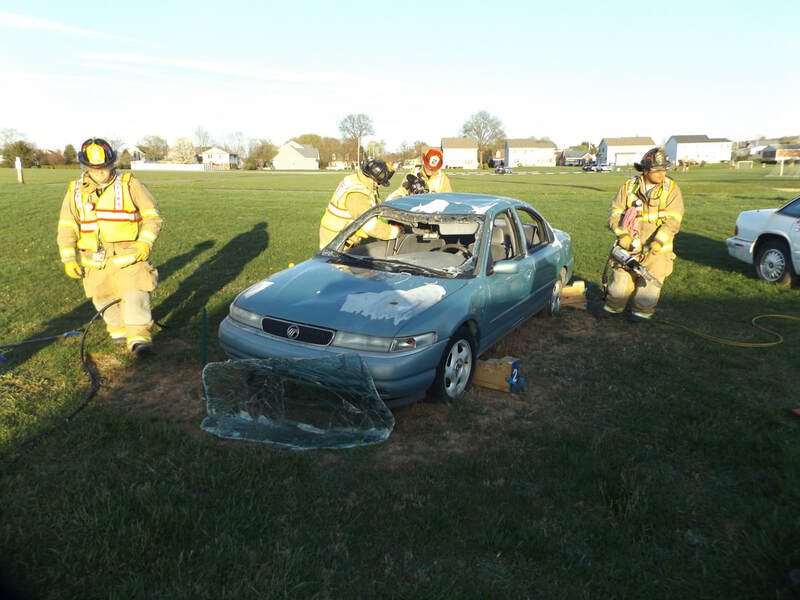 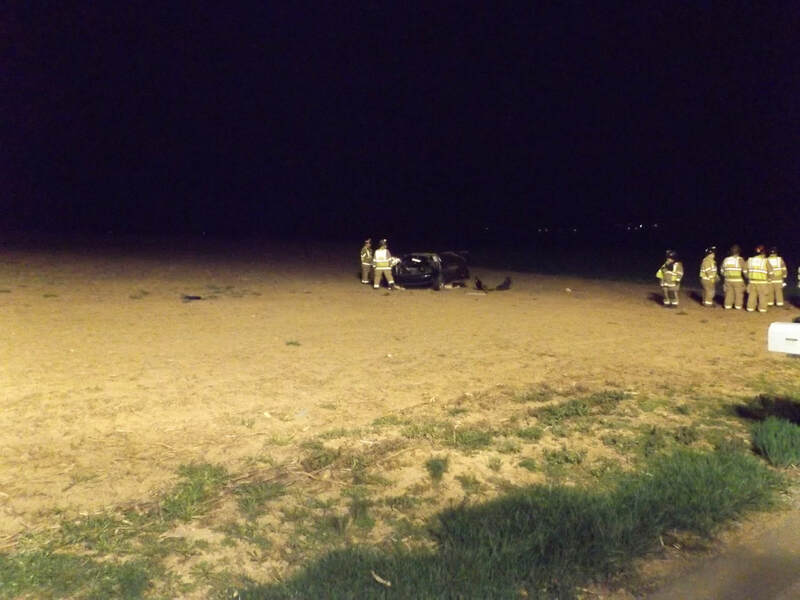 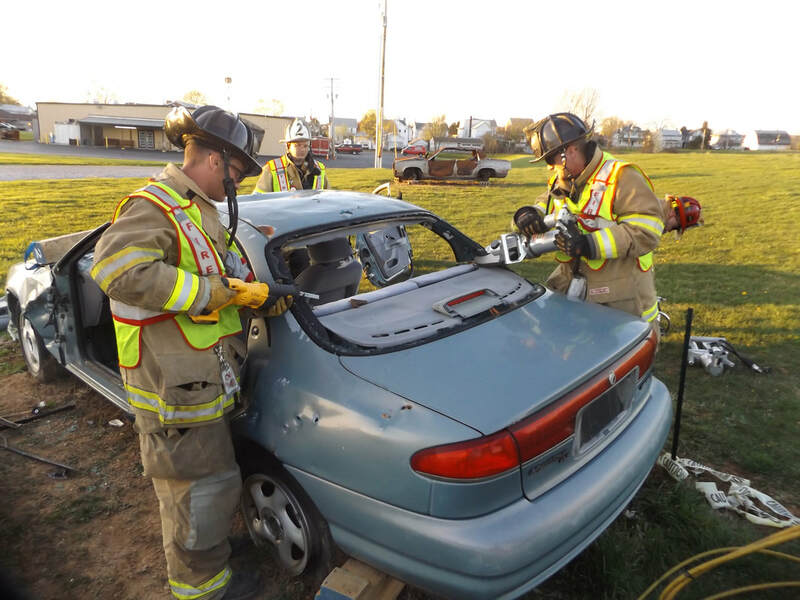 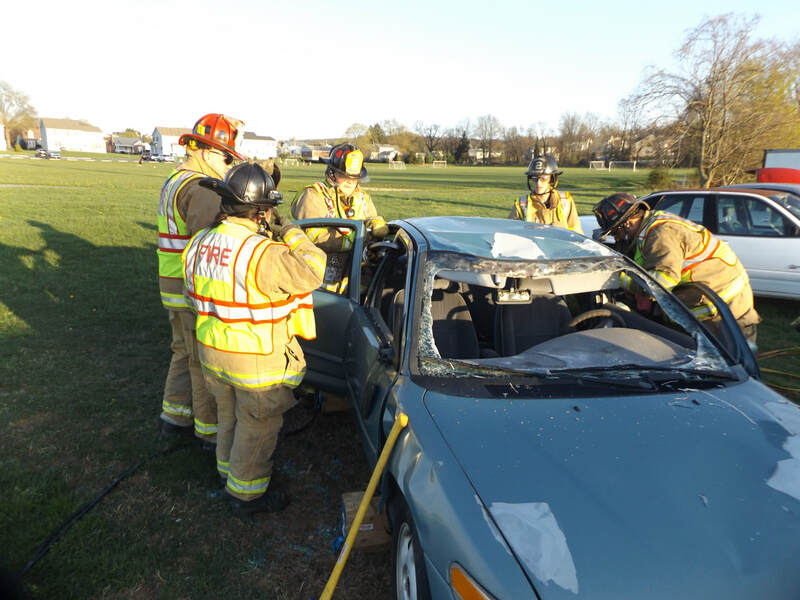 Training this evening was vehicle extrication. 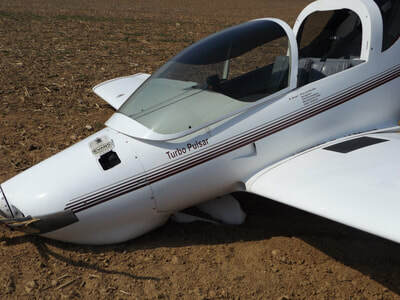 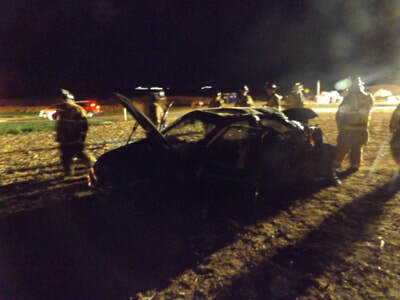 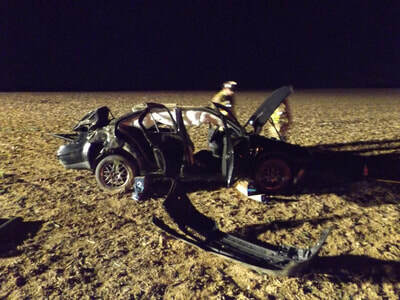 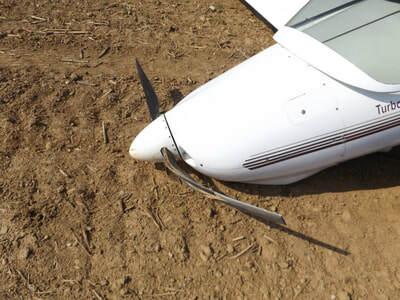 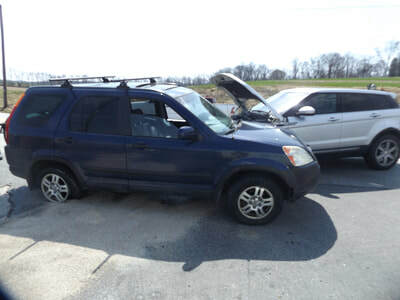 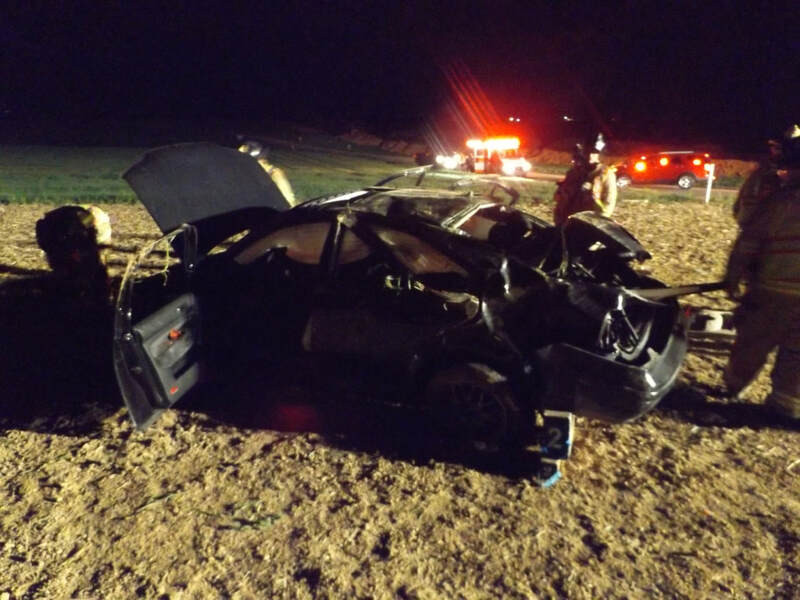 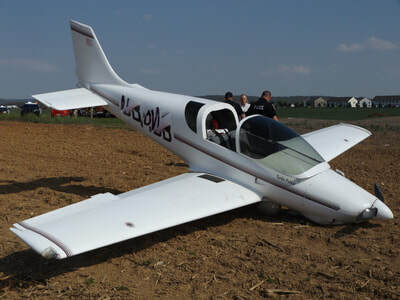 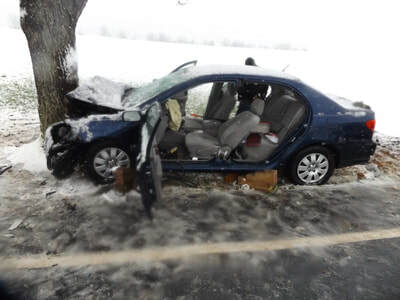 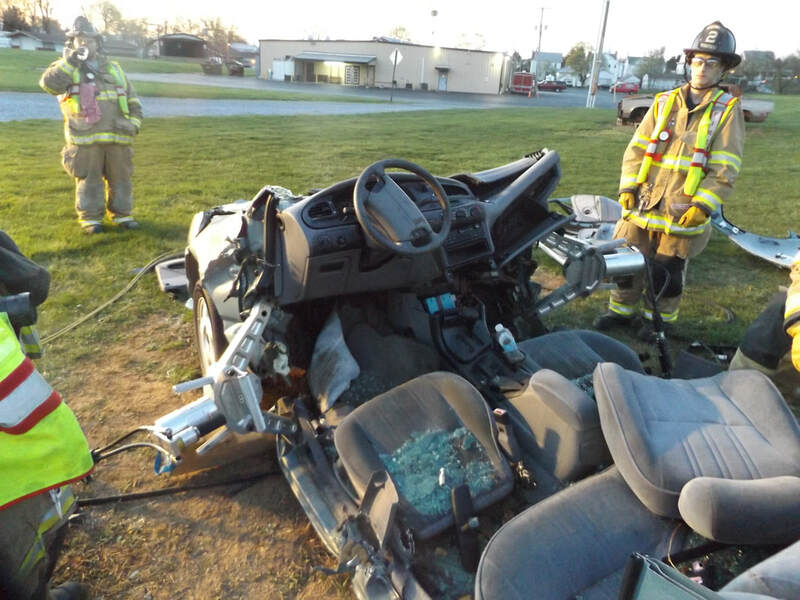 The crew worked to remove all doors, roof, b pillars, seat backs, and dash push. 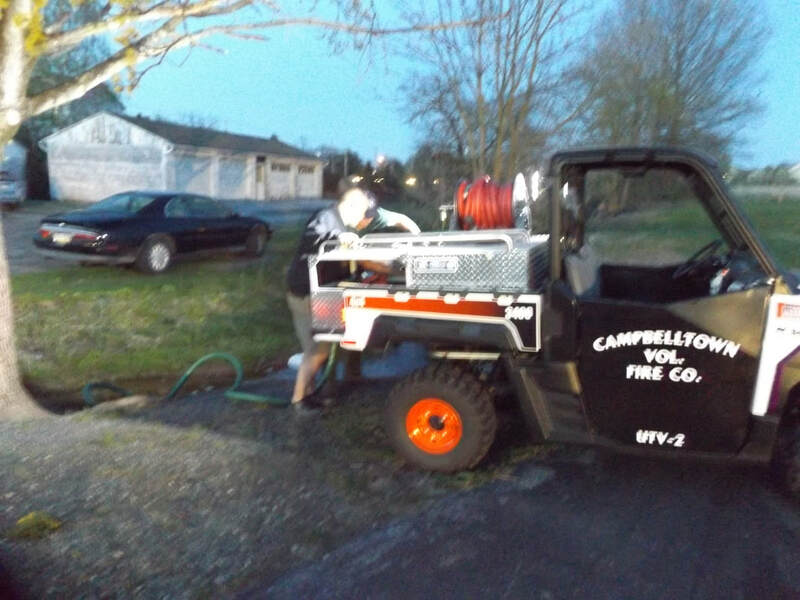 Chief 2 (Ba Sell) and FF Beare practiced drafting with ATV 2. 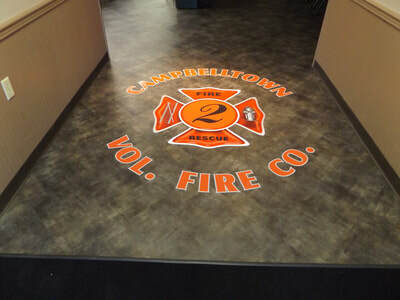 Final touch on the social hall floor. 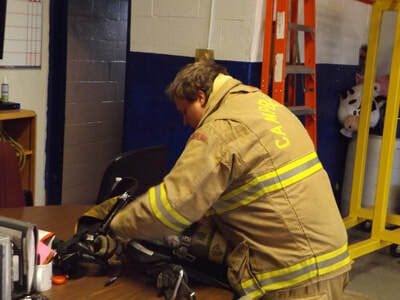 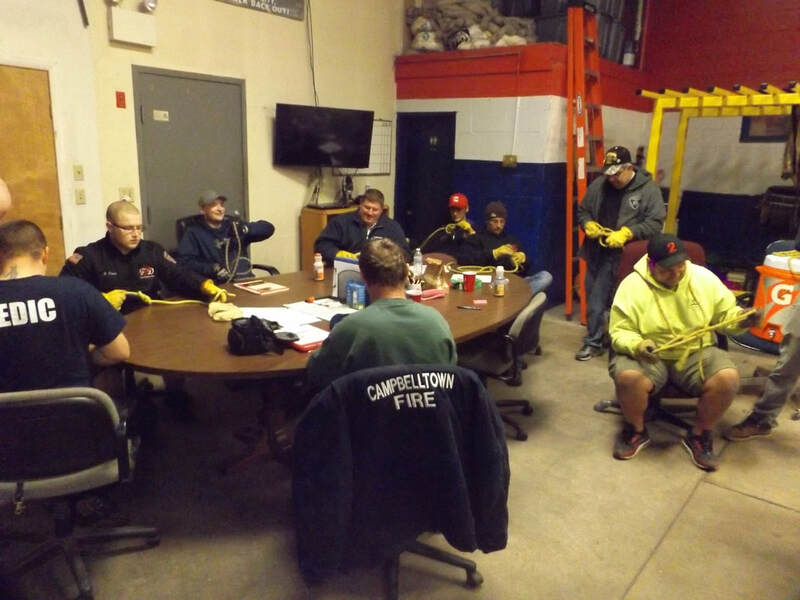 Training this evening was Station 2 SCBA Certification. 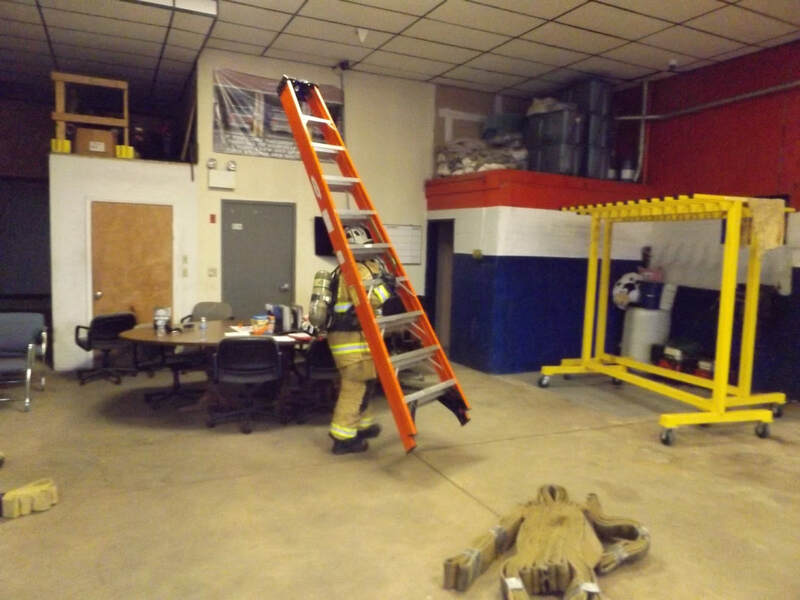 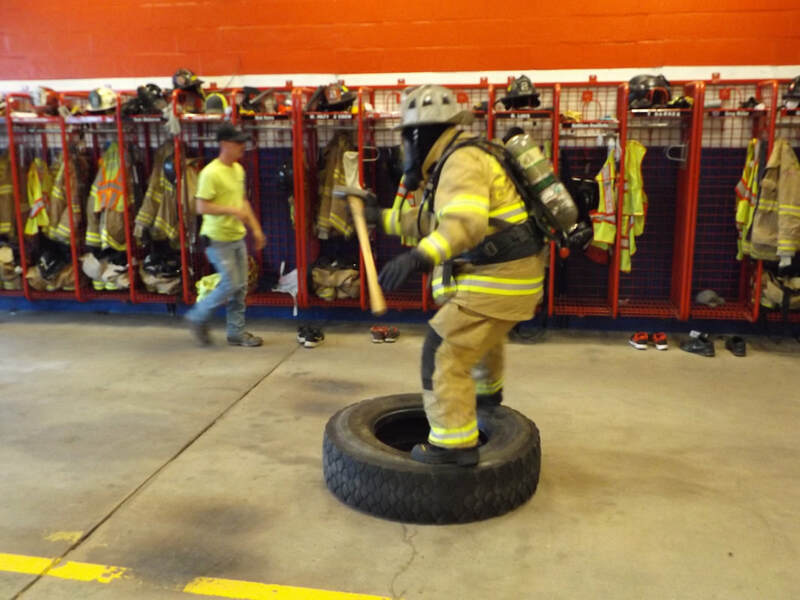 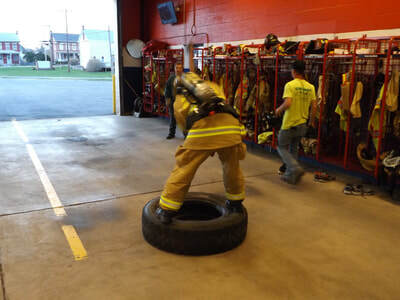 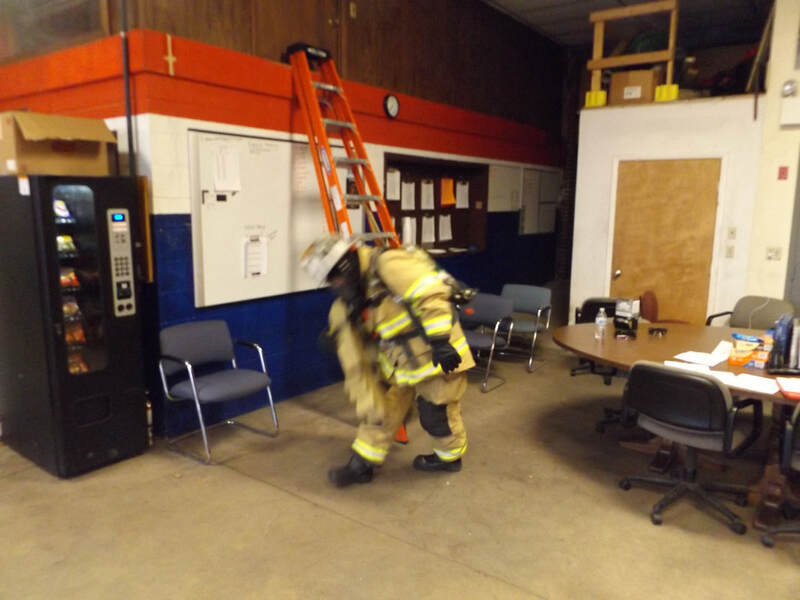 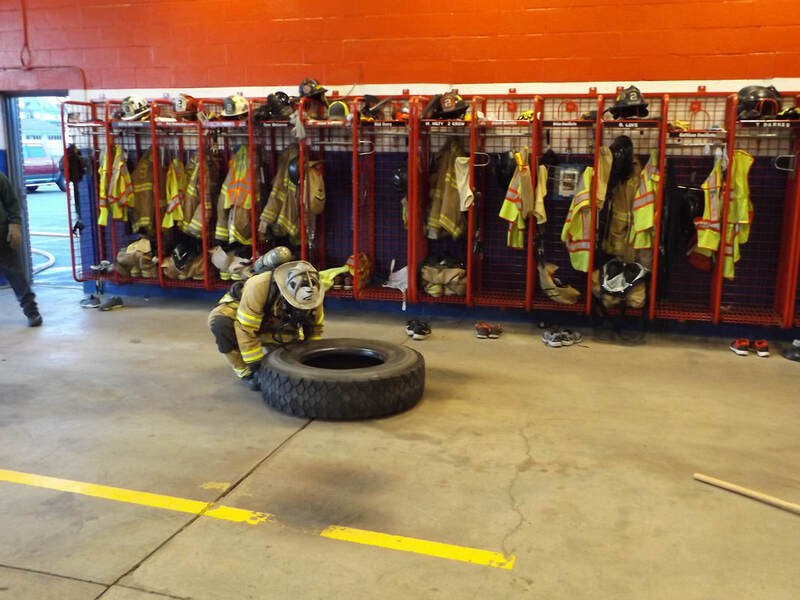 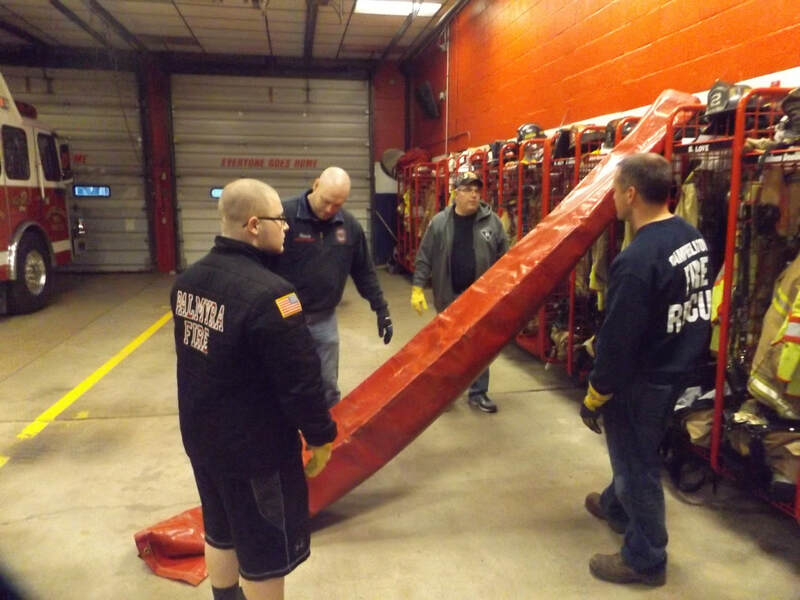 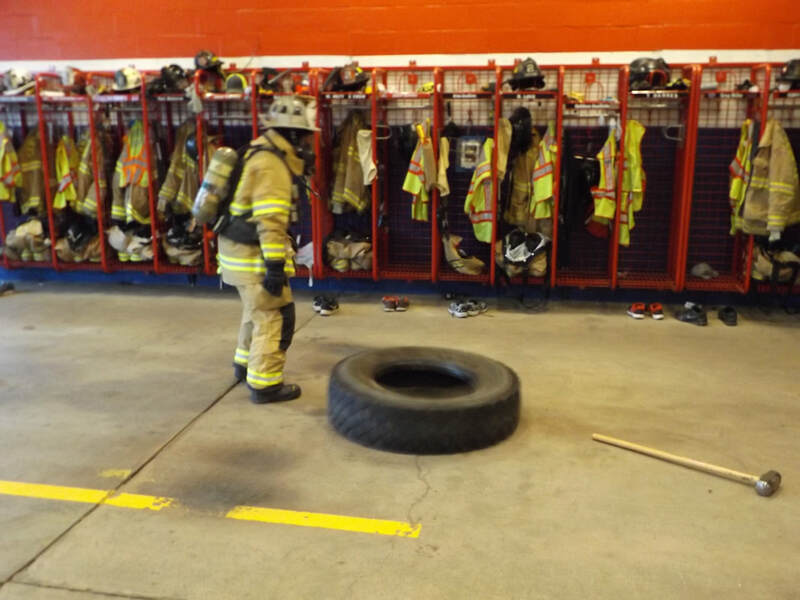 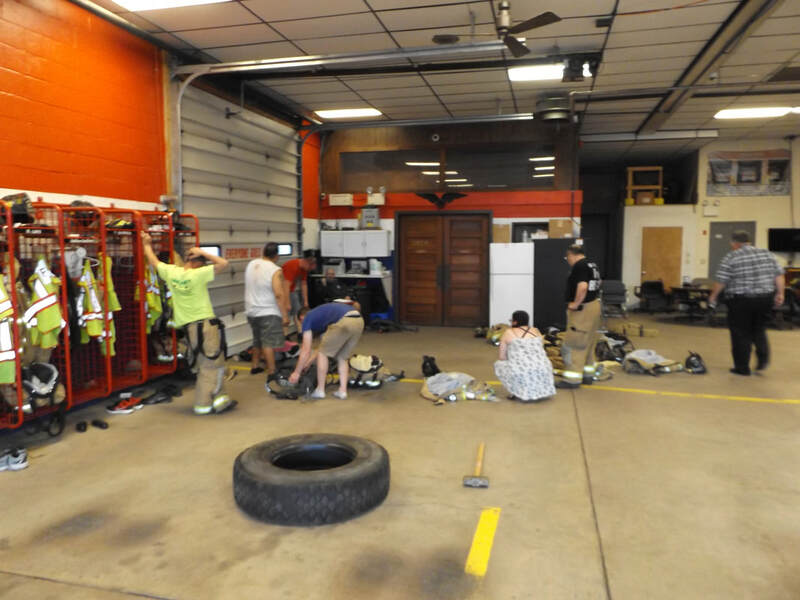 Crews had to don the SCBA, climb a ladder with hose 3 times, drag the hose dummy around the cones, hit a tire 6 times with a sledge hammer, pull a hose line forward and backward, return to the ladder and climb again, and put the ladder back in place. 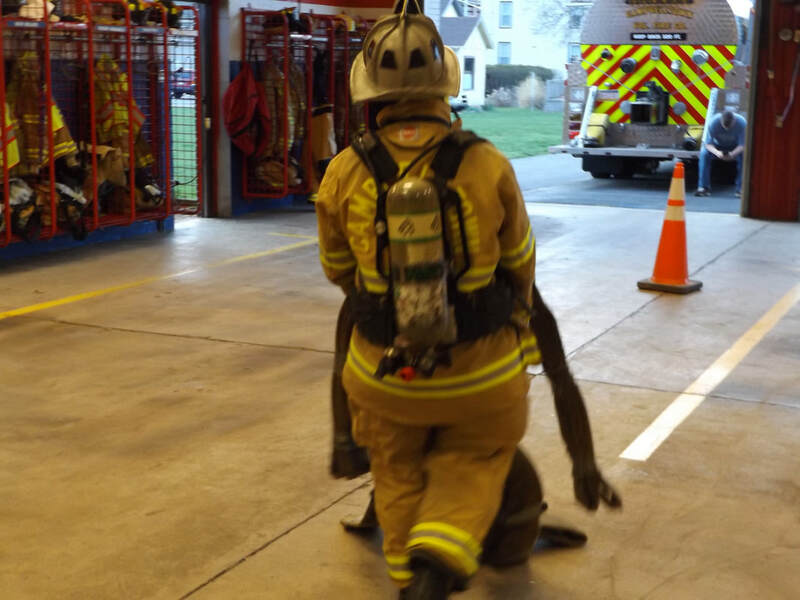 after that they were required to connect the RIT pack and do buddy breathing in the dark. 14 firefighters passed this certification. Several were absent and take another time. 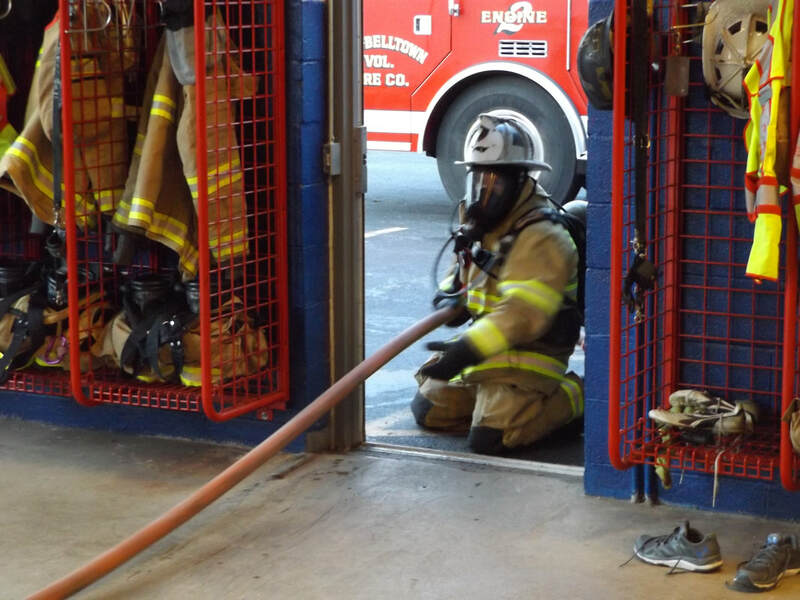 Station 2 was dispatched to a structure fire. 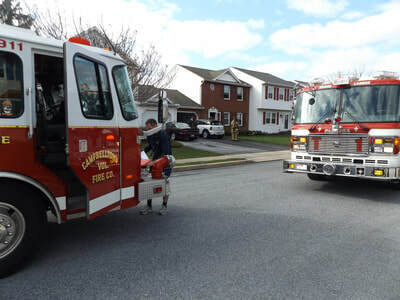 Engine 2 with 3 (Safety Ed) went in route and laid in from the cul-de-sac. 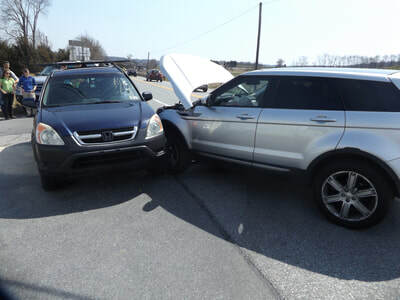 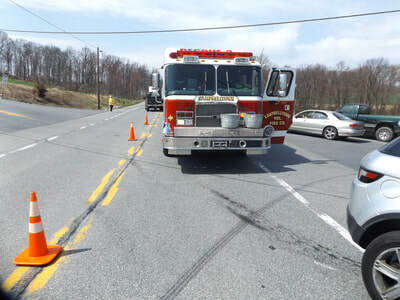 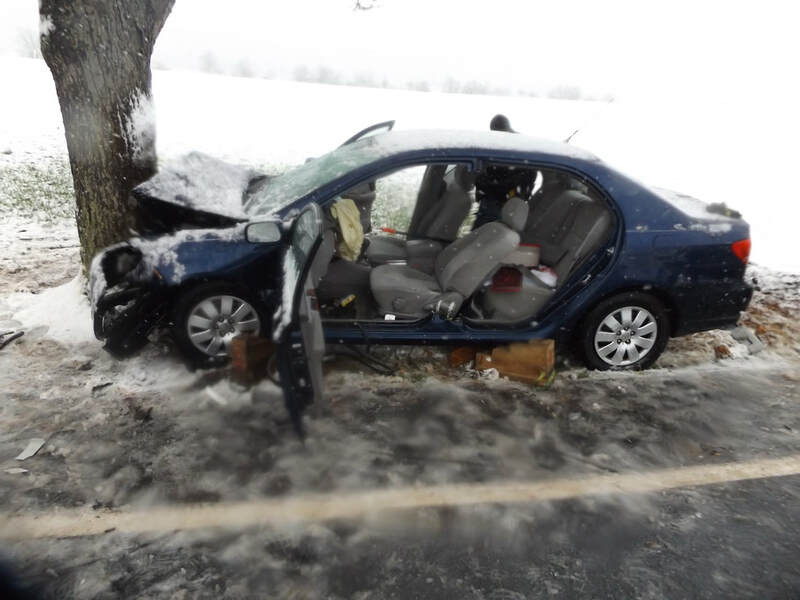 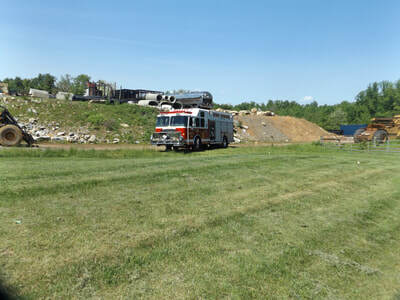 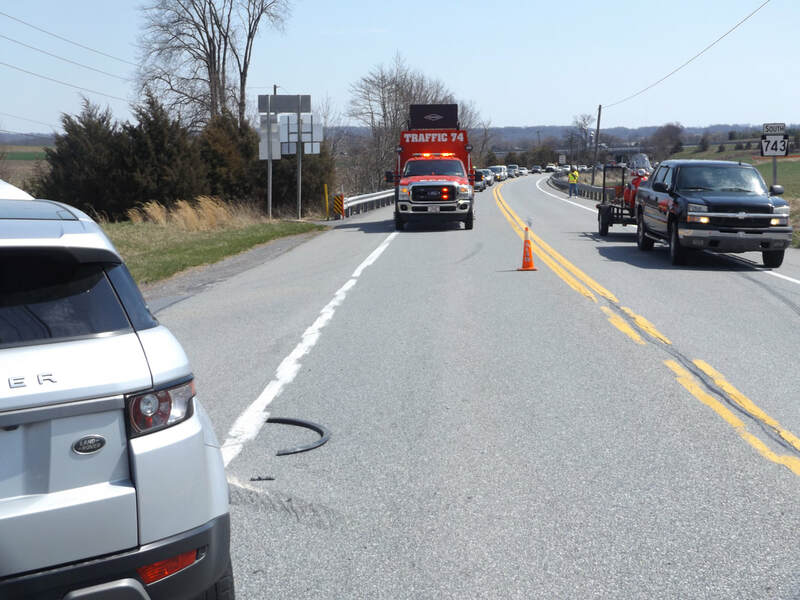 Two members and Assistant 2 (C Bardsley) went directly to the scene due to traffic problems along Horseshoe Pike. 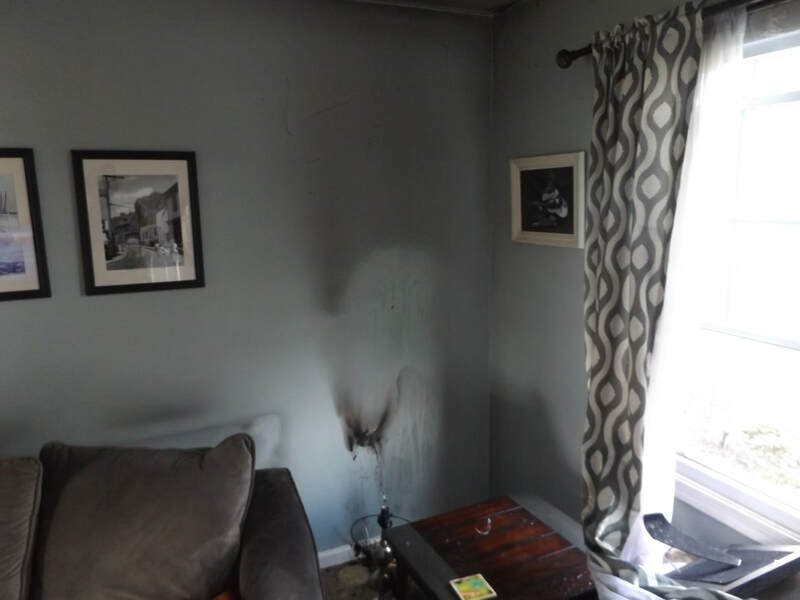 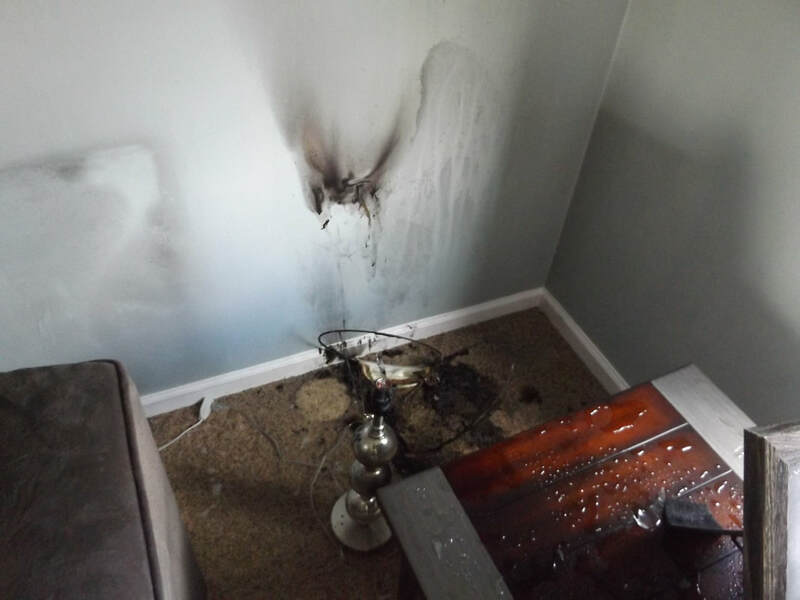 Owner had put the fire out. 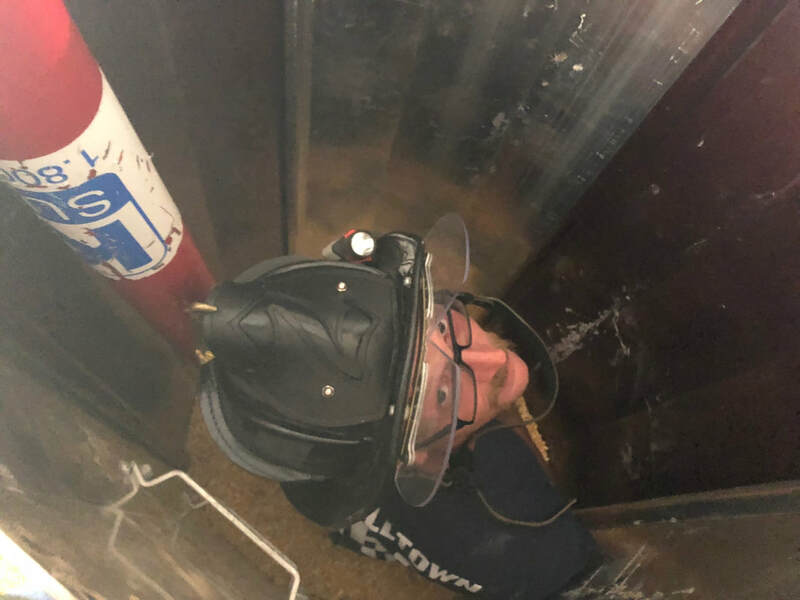 Tower 1 (Palmyra) assisted. 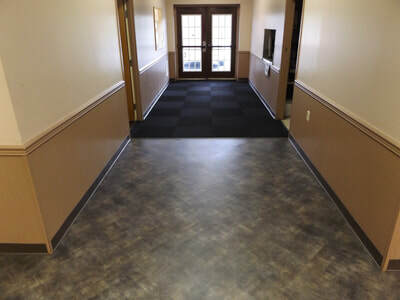 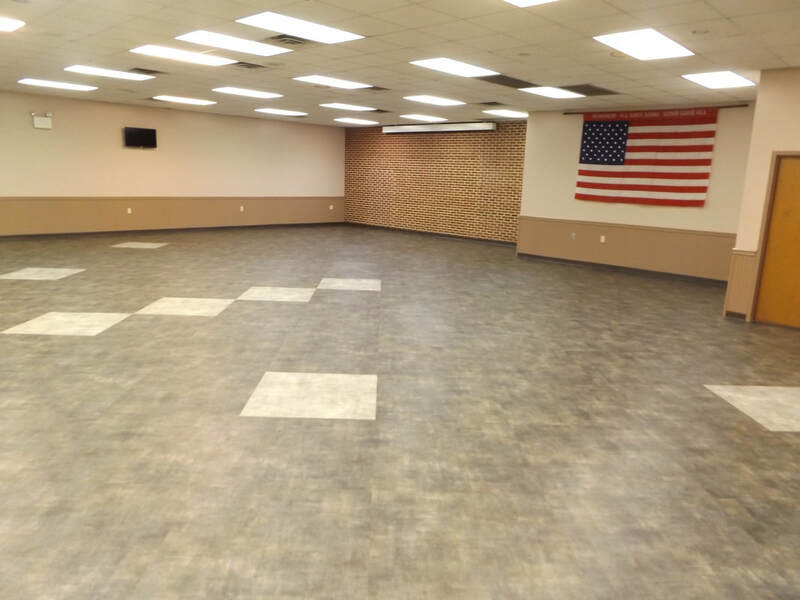 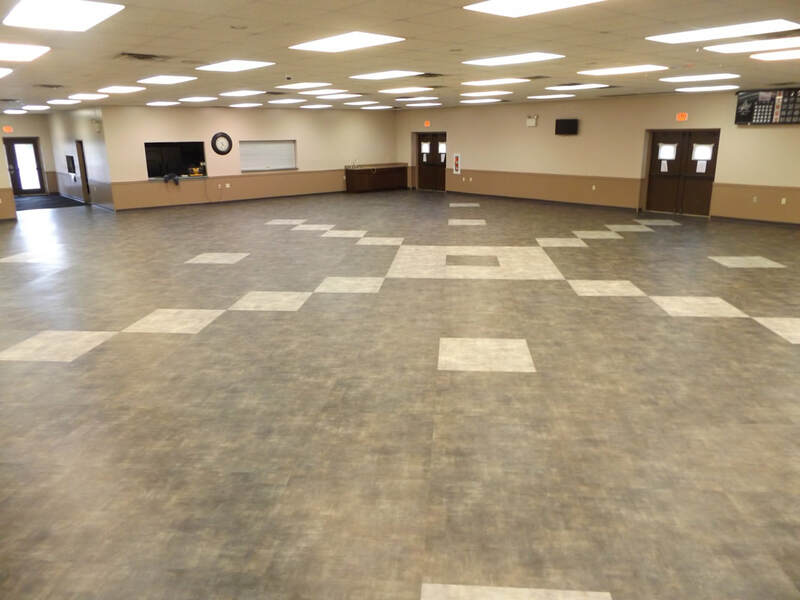 The new floor in the social hall has been installed by Barry L Sell, Contractor. 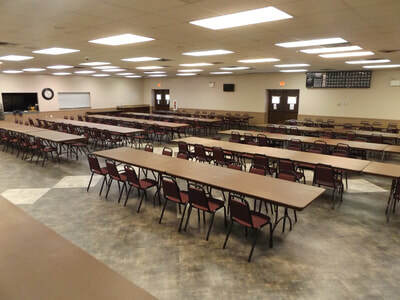 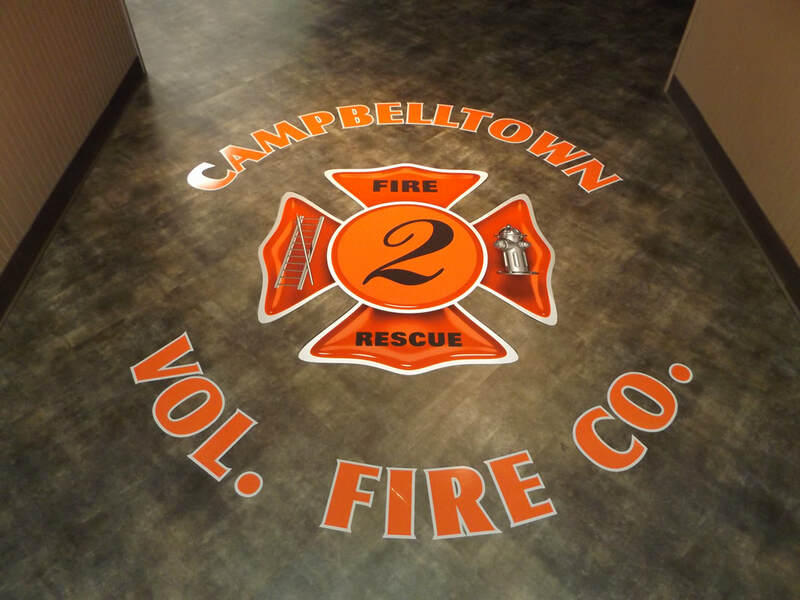 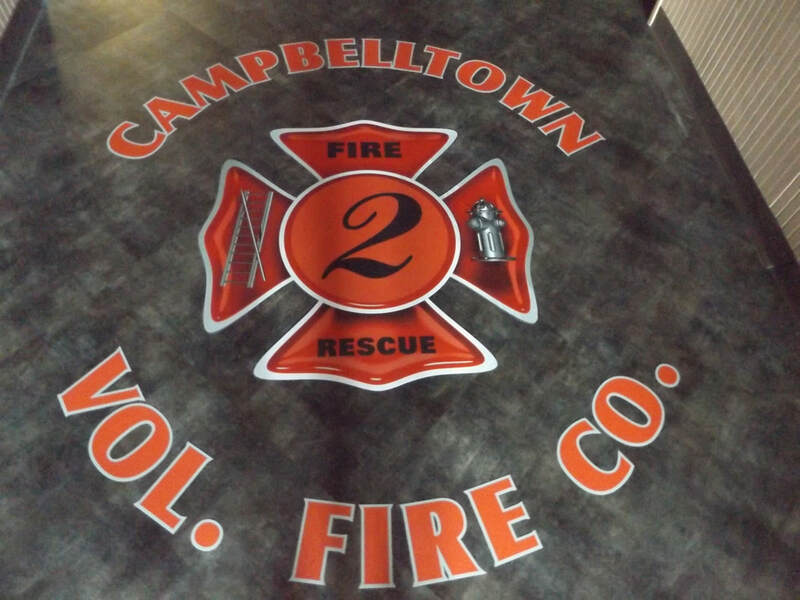 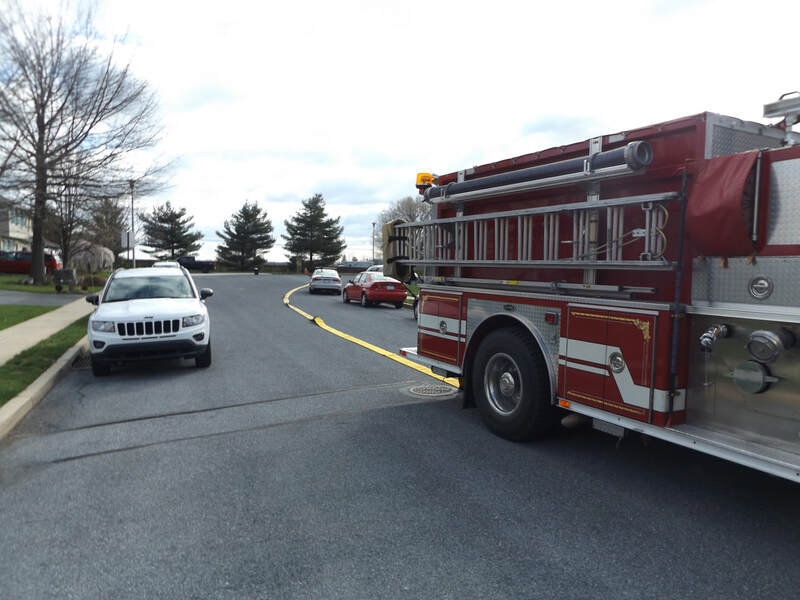 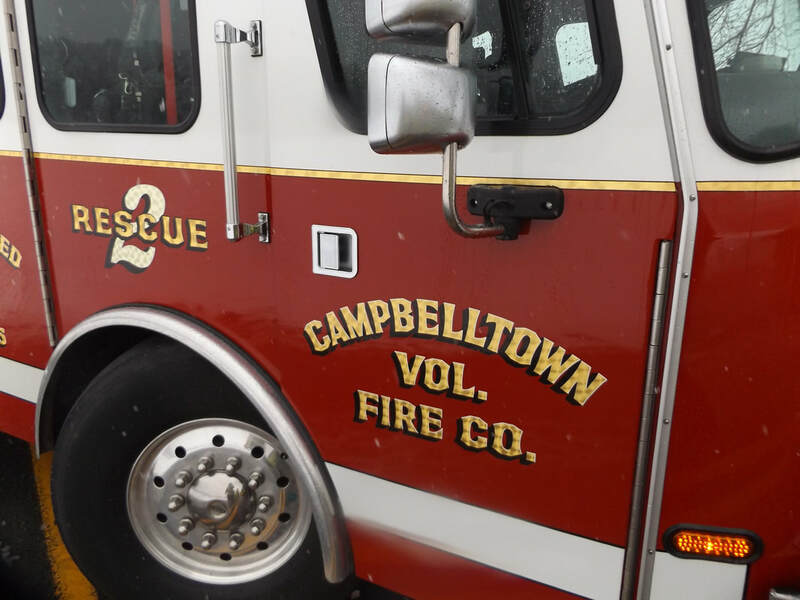 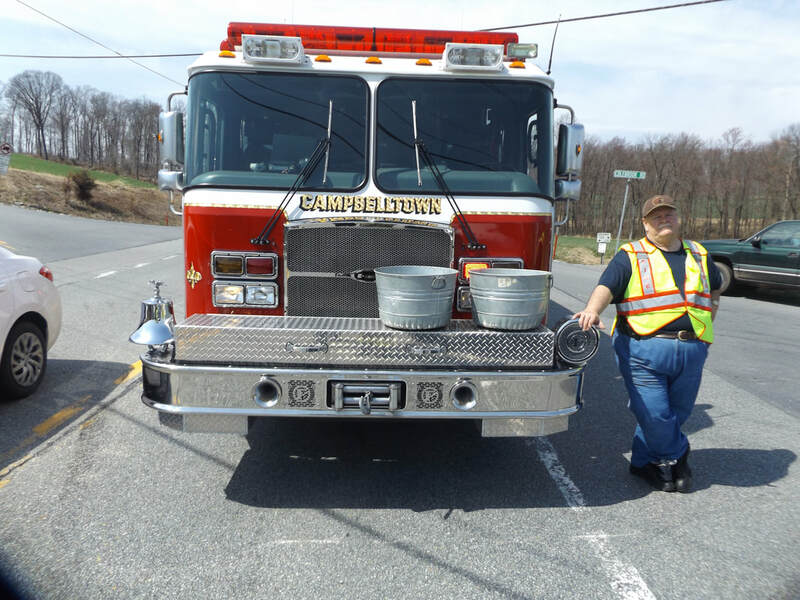 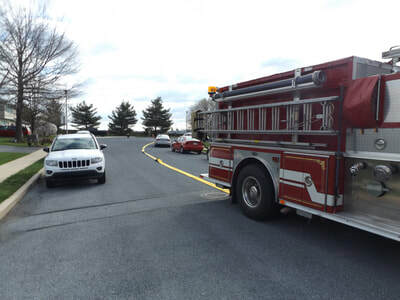 Call the Campbelltown Volunteer Fire Company at 717-838-3707 ext 125 for your wedding reception, parties, business rentals, or any other needs. Bingo is still canceled for this Friday April 20th. Inside training this evening was salvage. 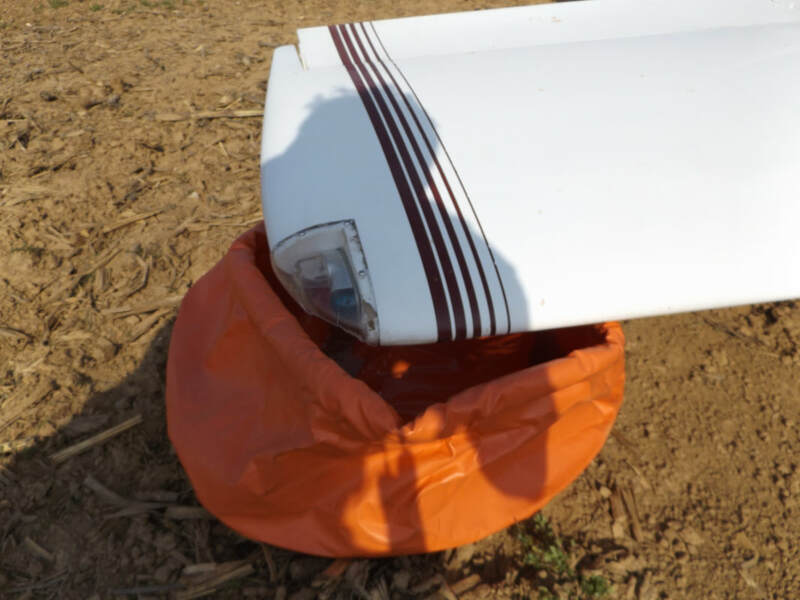 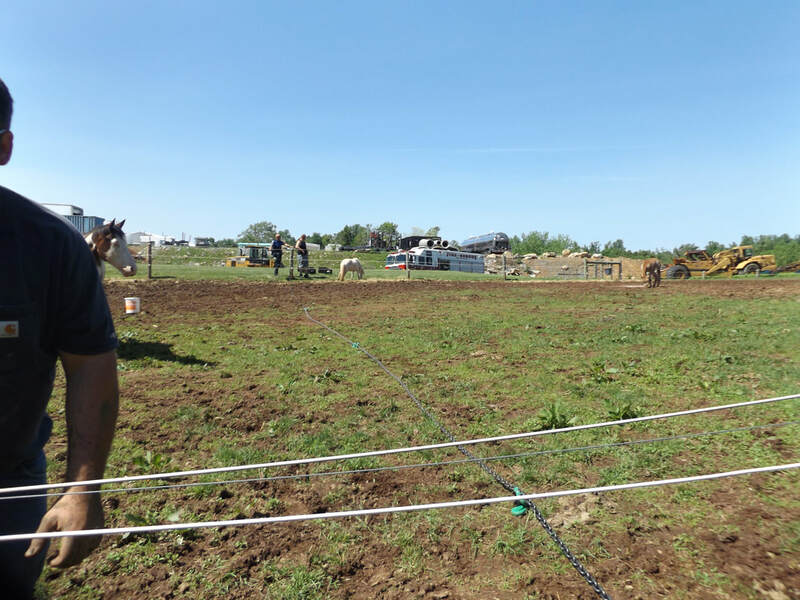 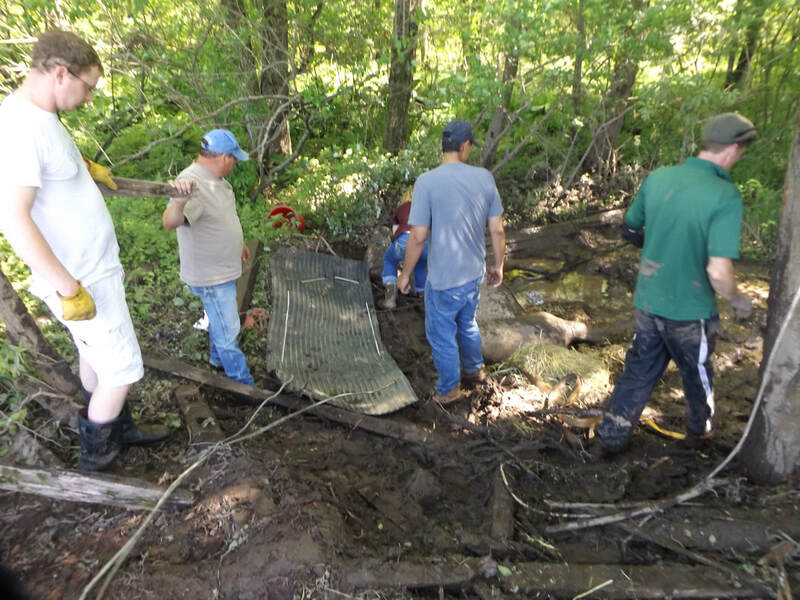 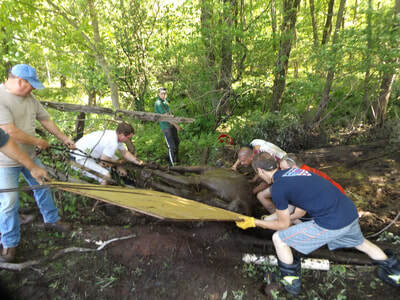 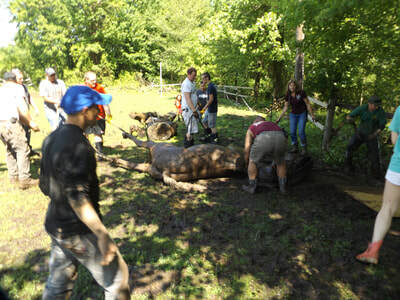 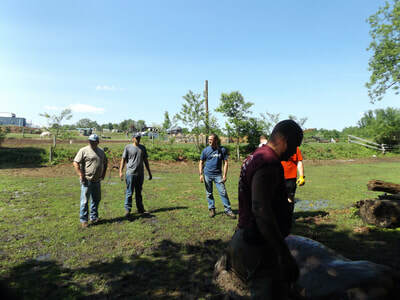 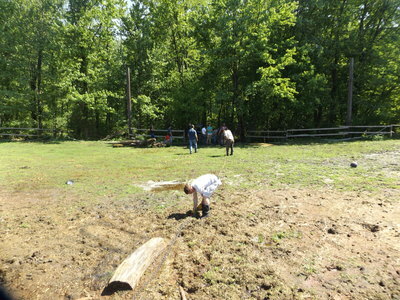 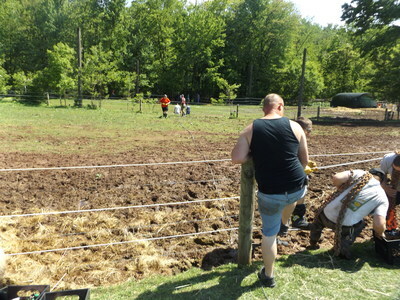 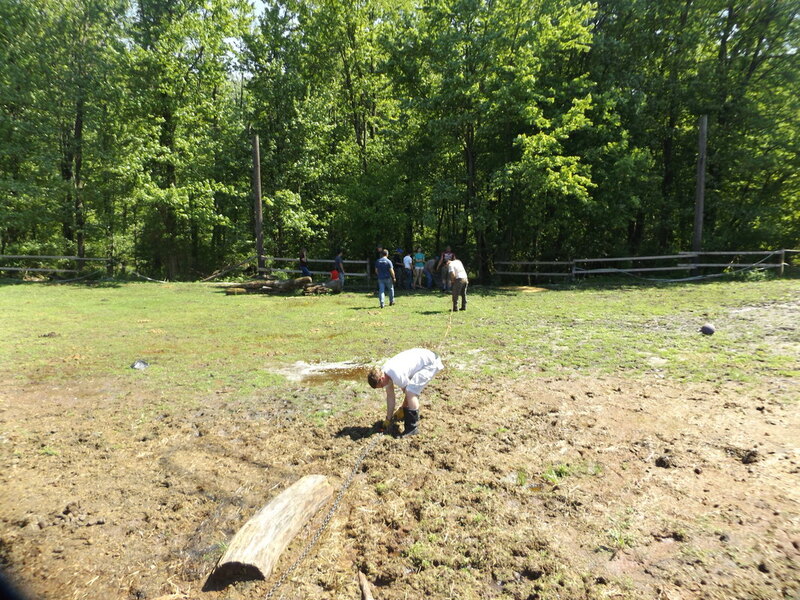 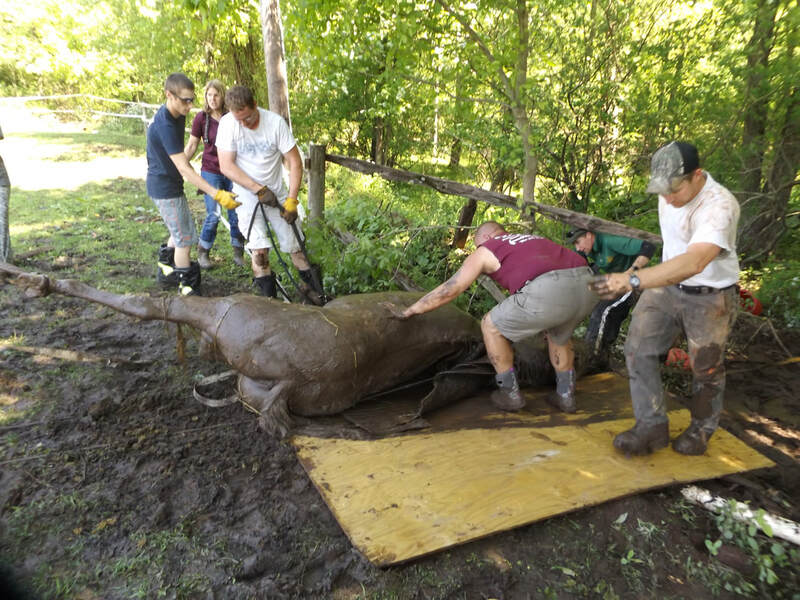 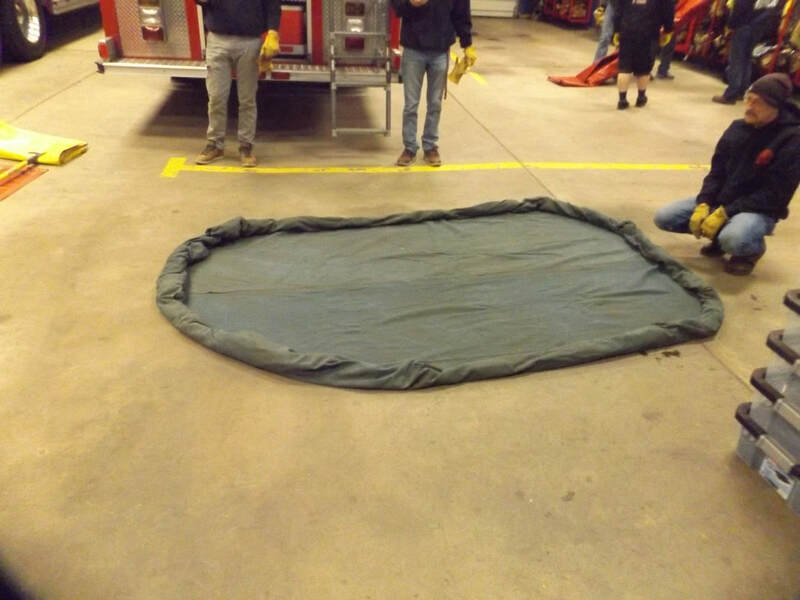 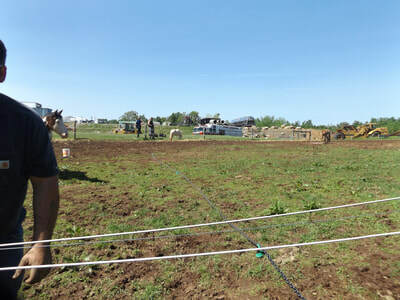 crew practiced throwing tarps, making water chutes, ponds. 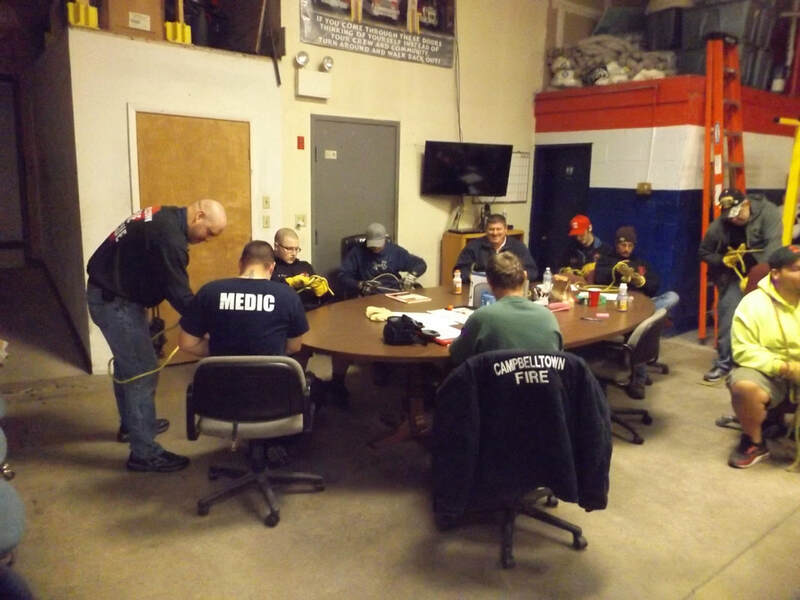 After that the crew practiced knots. 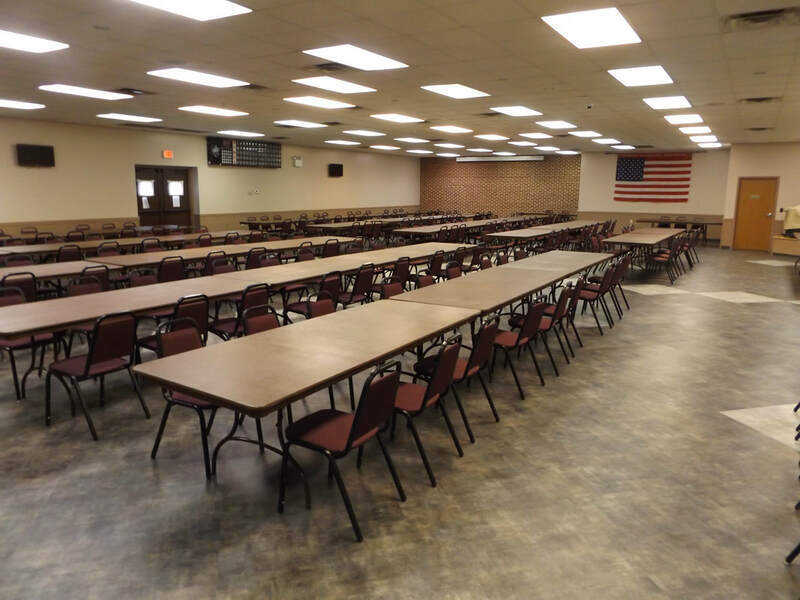 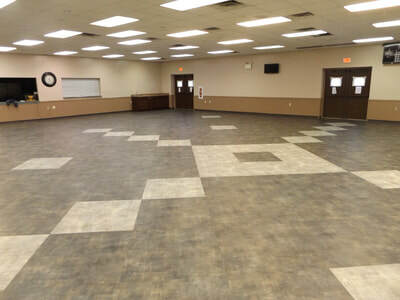 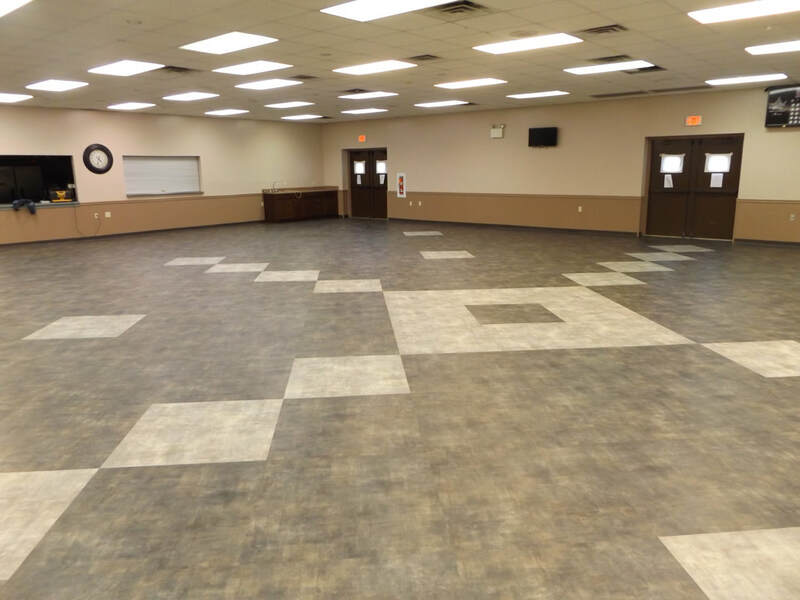 Please note there will be no Bingo on Friday, April 20th due to floor renovations in the social hall. Bingo will return Friday, April 27th. 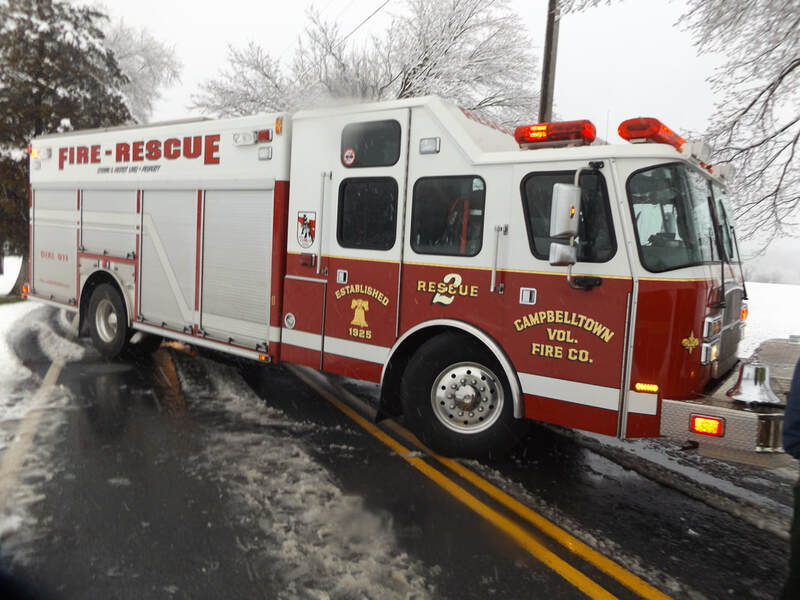 Rescue 2 with 3 (Chief B Sell) was dispatched to and accident with injuries. 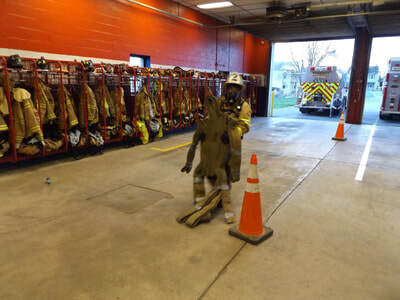 Special Unit 2 as Fire Police (FP K Darkes) also responded. Crew did basic vehicle ops and returned. 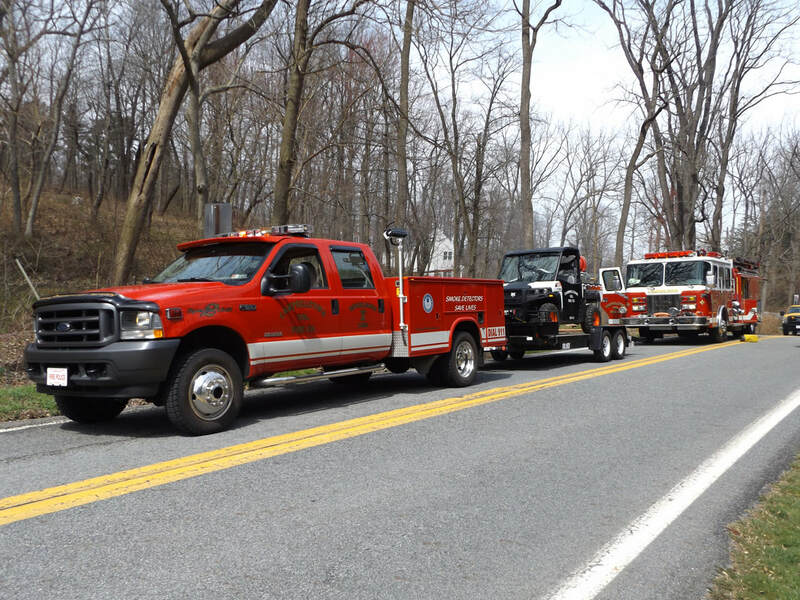 Engine 2 with 2 (Safety Ed) and Special Unit 2 with 2 (FF Valentin) towing ATV 2 responded to a wildfire on Lawn road, an out of control burn 10 feet by 10 feet. 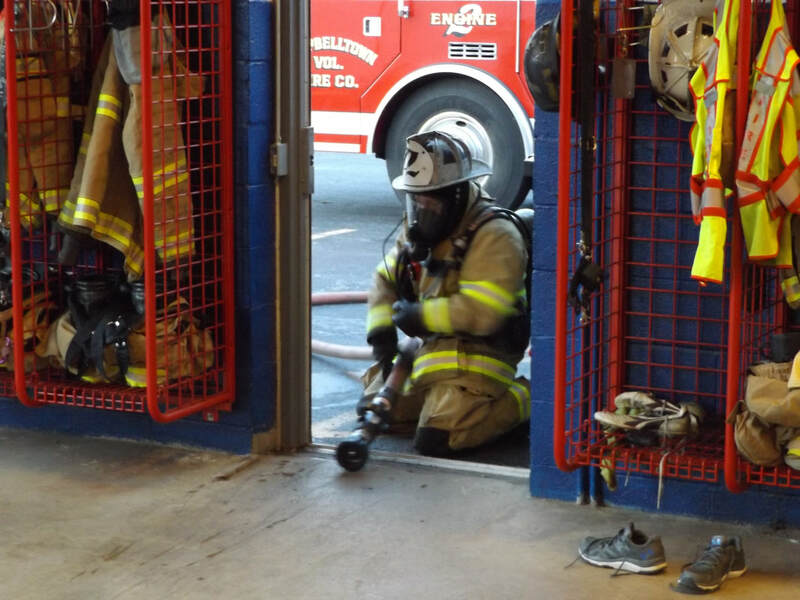 E2 extinguished. Rescue 2 with 7 (Safety Ed) assisted Lawn (3) with an accident with entrapment. 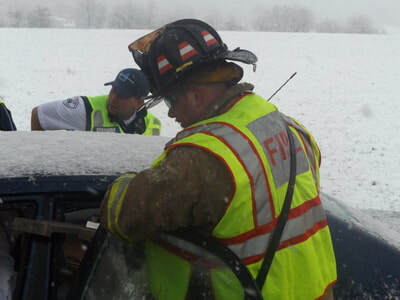 Crews assisted with B pillar removal. While R2 was on this call Engine 2 with 3 (FF Valentin) responded to a tree down on the roadway.